Vanderpump Rules star Scheana Marie infamously wore a crop top on her own wedding day. Of course she’s going to rock one in Iceland. In all honesty, it’s concerning if Scheana is not wearing a crop top. Sure, that’s an exaggeration, but the crop top has become a part of her signature look. 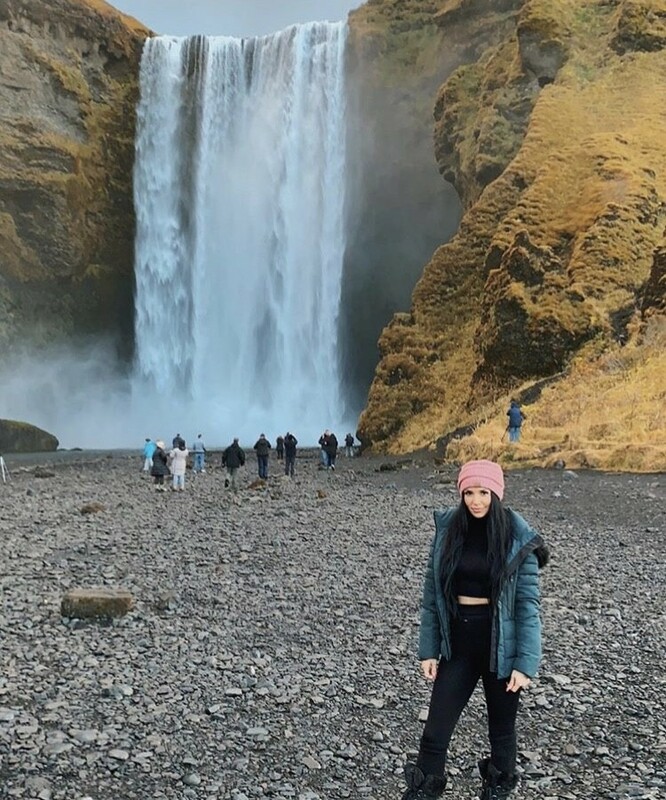 Scheana brought along the essentials for her trip to Iceland: her crop top, boots, a winter coat, and fellow SURver Adam Spott– who she may or may not be dating. We just have to wait for Vanderpump Rules Season 7 for an official confirmation on that one. 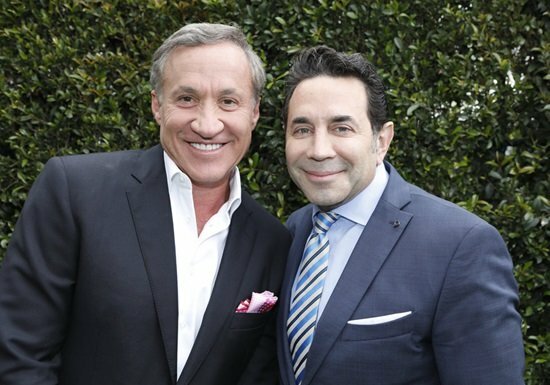 Highlights: the season premiere of Botched and the season finale of Marriage Boot Camp: Family Edition. Is it July 10th yet? The Real Housewives of Orange County is back for season 12 and they’re bringing the 100th Real Housewife, Peggy Sulahian, along for a ride on the crazy train! Bravo just released a new sneak peek of the drama to come on season 12 and also a set of new cast photos. Vicki Gunvalson and her family are back to showcase Vicki’s business expansion and her attempts to fix her broken relationships with the ladies. And also to show off her boyfriend, Steve Lodge. Southern Charm star Kathryn Dennis has obviously had the worst possible year ever, with her break up with co-star Thomas Ravenel, and her failed drug test that took place one year ago, but what has made it worse is all of the rumors that since she returned from rehab in Malibu just before Labor Day that insist she has failed drug tests. Up until now Kathryn took her tests each week, and every month, and passed, and results were sent to the court, and those involved in the case had access. She has gone as far as to also purchase a breathalyzer to prove that she has also been avoiding alcohol. But Kathryn has had to learn a tough lesson, which is that there are some people out there who will make things up, whether it’s to be hurtful, or just for attention (or maybe because they were not asked to return to Southern Charm this season). Either way, Kathryn has spent months turning the other cheek, and not responding on advice of counsel. Exclusive: Candid Conversation With Southern Charm Star Kathryn Dennis – Setting The Record Straight On Rehab, Rumors, Motherhood, and More! 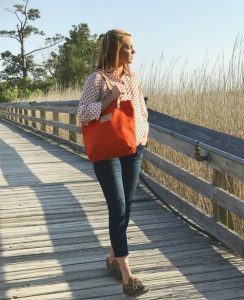 While season four of Southern Charm has been rather tame on screen, in the press and on social media things have been rather dramatic. While Kathryn Dennis has done her best to stay out of the fray and not comment on the firestorm, certain things have crossed the line, and she has agreed to sit down and answer some questions, on the record. Amy F.: Hey Kathryn, I first want to ask you if there is anything off limits? Is there anything you can’t, or won’t talk about? Kathryn Dennis: I’m not interested in naming names when it comes to those who have gone out of their way to smear me, because I don’t want to give them any press, but it’s pretty obvious who they are, but I’d like to get everything out there, so fire away! Amy: You’ve obviously seen some of the articles and blogs saying that you are partying, using, unstable, and raging. Is there any truth to any of this? How often do you test, and does the court and/or Thomas Ravenel have access to these test results? Kathryn: The rumors around town about partying are ridiculous. I have cut myself off from all of those people from when this all hit the fan last May. I fully admit it, I screwed up, but heading off to rehab helped me make a clean break. Ask any bar around town, and they will tell you they haven’t seen me. This is going to be public record soon, and yes, the court and Thomas have seen that I test regularly, and have not failed. The initial source is easy to guess, like in Harry Potter, “he who shall not be named!” Soon, all of the tests and more will be part of the public record, and if certain people have any class, they will be apologizing, because to say those things like that when it’s not true, is so wrong. 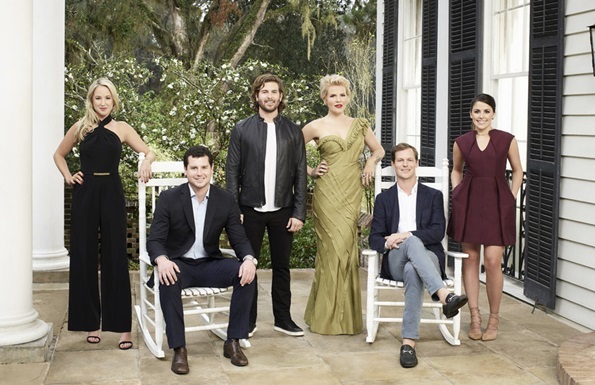 If you can’t get enough of Southern Charm, then you’re probably pumped for the premiere of the show’s first spin-off series Southern Charm Savannah. In fact, you will have the opportunity to get a double dose of the Southern drama since the new show is set to air right after the original on Monday nights. Just like Southern Charm, Southern Charm Savannah revolves around a co-ed group of friends living in the South and trying to balance their personal and professional lives.